With a location just above the dock for the iconic Chicago Architecture Foundation River Cruise at 111 E. Wacker, the new center will feature the Skyscape Galley, which will display permanent and new exhibits, and the expanded and digitally enhanced Chicago City Model Experience, which tells the story of Chicago architecture. The new Center is due to open this summer. From Chaka Khan and Chance The Rapper to the Buckinghams and Benny Goodman, Chicago has left a substantial mark on the music industry. And the Chicago Music Hall of Fame is set to document it. The museum will be headquartered at 1431 W Taylor, in Little Italy, above the National Italian American Sports Hall of Fame. There will be food, beverage and entertainment options throughout the four story-building. 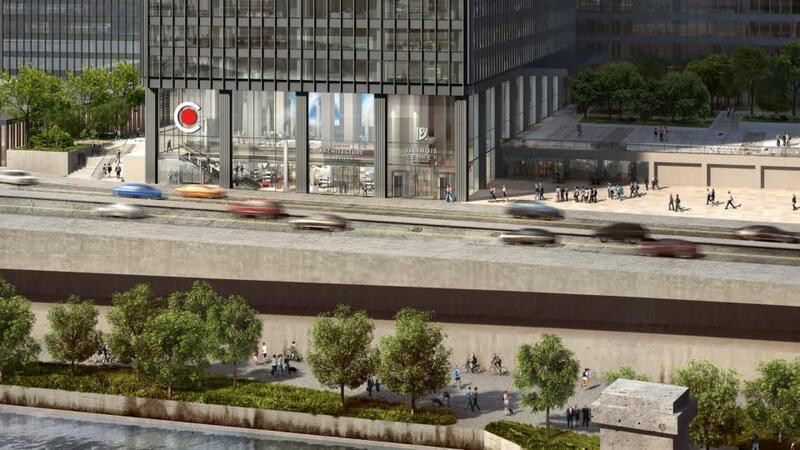 Chicago Music Hall of Fame will open this fall. 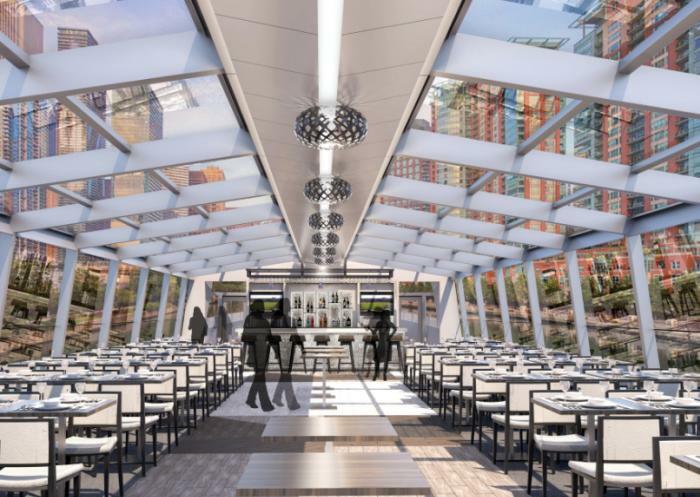 New vessel, new experience: This summer, Odyssey will offer a rather elegant and supremely unique experience on the Chicago River in the form of a state-of-the-art, European-styled, glass-enclosed vessel — think 360-degree city views! The new ship was designed specifically in response to growing demand for more out-of-the-ordinary experiences on the river. The idea is to showcase Chicago’s incredible architecture and mesmerizing vistas, and to create a refined environment in which to enjoy an upscale menu, with plated service. Curated live music will add to the refinement. Following the astounding success of the 2.7-mile 606 elevated biking and jogging trail on the city&apos;s west side, the 312 RiverRun will feature a new segment of trail for pedestrians, cyclists and runners, bridging the North Branch of the Chicago River and connecting three existing North Side parks: Clark Park, California Park and Homer Park. Once completed, it will offer an almost two-mile uninterrupted stretch. The project begins with the Riverview Bridge, a 1,000-foot-long, 16-foot-wide concrete structure above the river that will connect Clark Park on the east bank of the river and California Avenue south of Irving Park Road. The bridge will be completed by the end of 2018. The next phase, scheduled for 2019, will feature a pedestrian and bike path from California Park to Horner Park. Anyone who&apos;s visited Logan Square is bound to have happened upon The Whistler, a creative craft cocktail hideaway with alluring patio upon which to wile away the steamy summer evenings. The masterminds behind The Whistler have just opened Sleeping Village in nearby Avondale (3734 W Belmont Ave). However, rather than creative cocktailing, Sleeping Village functions as a multi-concept bar and music venue, with an impressive menu of 56 draft beers and ciders, and a year-round outdoor patio. A spring line up of performances is coming soon, so you won&apos;t have to wait long to give the music scene at Sleeping Village a whirl. The West Side is definitely the place to be in 2018! Bucktown will be welcoming a new cool factor in early 2018 in the form of Brooklyn transplant Royal Palms Shuffleboard Cub. 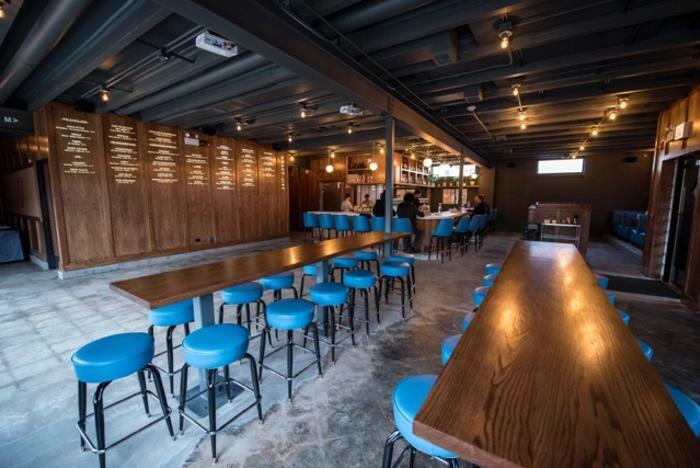 As the name implies, this bar/games combo will feature craft cocktails and beers, and a whole lot of shuffleboard! The club will be located at 1760 N Milwaukee Ave. Standing across the street from Wrigley Field, Hotel Zachary promises an authentic neighborhood experience, with locally based dining, cocktails and decor. The hotel will include Chicago favorites Big Star, West Town Bakery and Smoke Daddy. It is slated to open in the spring. 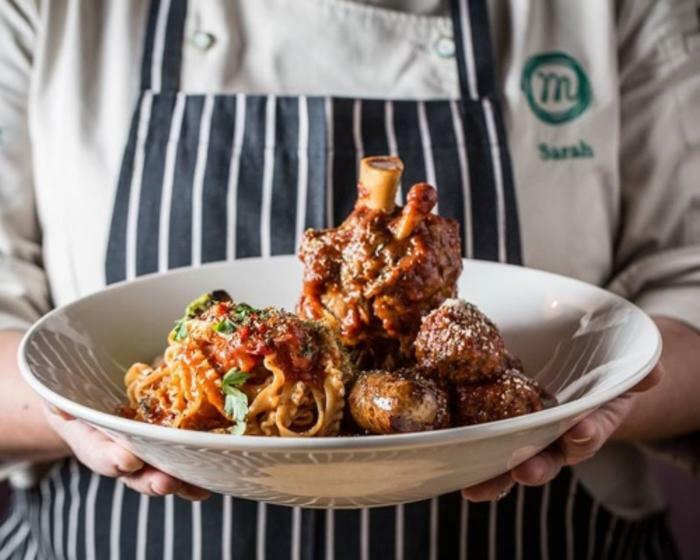 Located up the street from Hotel Zachary and Wrigley Field, The Wheelhouse&apos;s name references the batter&apos;s strike zone that&apos;s favored for a surefire home run. With "warehouse modern decor," retail space, restaurants and more, The Wheelhouse aims to please just about everyone. Start booking in the spring. Stylish and artistic, the Sophy Hotel is poised to represent the "crafts and passions of art, science, literature and music that inspires the South Side neighborhood." A full service restaurant with a contemporary library and eclectic art collection are a few of the hotel&apos;s highlights. Check it out this summer. Hilton will introduce McCormick Place to its first triple-branded hotel this winter, consisting of Hilton Garden Inn, Hampton Inn by Hilton and Home2 Suites by Hilton. McCormick Place is North America&apos;s largest convention center. Plans for the property include a rooftop dining lounge, two street-level restaurants and a Starbucks coffee shop. Opening this month, this modern take on the traditional Spanish pinto bar will have more of a brasserie feel than tapas joint. Brought to us by the inspired minds behind mfk, one of the many outside-the-box features of this eatery will be Vermouth on tap! The restaurant will be located at 1450 W Chicago Ave in West Town. 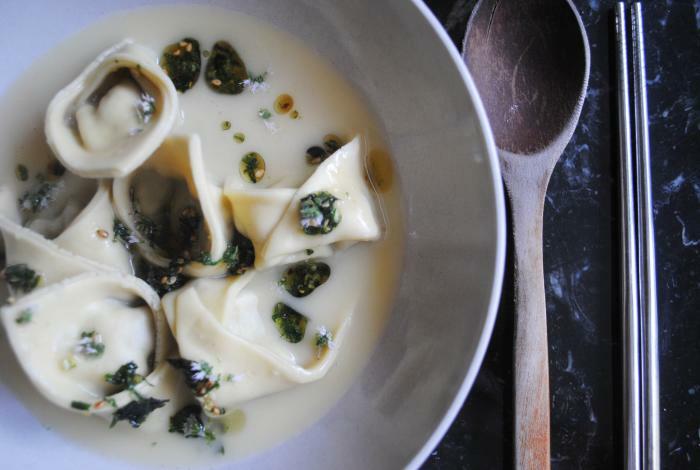 Award-winning chef-owner Jennifer Kim is launching a neighborhood Korean restaurant, Passerotto (Italian for "little sparrow"). The enterprise promises to be anything but ordinary, however. "The food draws on Kim&apos;s Korean heritage...adding a few minor touches from Central Italy, a nod to the way coastal Italian food has impacted her life," Passerotto&apos;s website explains. Once open, you&apos;ll enjoy a variety of small, medium and large plates, as well as large-format, Korean-style table spreads. Sharing is strongly encouraged! The restaurant will be located at 5420 N Clark St., and is slated to open early 2018. Uptown is getting its very own European-inspired market this year. As the official site explains, Beacon St. is a "collaboration of food we love, ideas that inspire us, and the desire to cultivate creativity in our guests...Beacon St. will serve as both a place to create, and a place to relax." Featured eateries include BBQ Supply Co., Norm&apos;s Deli, Budlong Hot Chicken, and The Patio, for alfresco dining. The market will be located at 6948 N Western Ave.
Wrigleyville fans have something to get excited about this summer. Opening on Broadway and Sheridan, Lakeview Market will cater to the evening crowd, with hours extending from 10:30am to 10pm (with later hours on the weekend probable), and will feature a much anticipated cocktail bar, sports bar, and wine bar. the Market also will feature up to 20 food vendors, including Chicago favs Furious Spoon Ramen Shop, FireFin Poké Shop and Budlong Hot Chicken. Located int he Loop, Wells St. Market already has revealed an astounding lineup of award-winning chefs for its early 2018 opening, including Jimmy Bannos Jr. of The Purple Pig, Takashi Yagihashi of Slurping Turtle, Shin Thompson of Furious Spoon and Jeff Mauro of Pork & Mindy’s. The 10,500-square-foot space will open at 205 W Wacker Drive, just across the river from the Merchandise Mart.